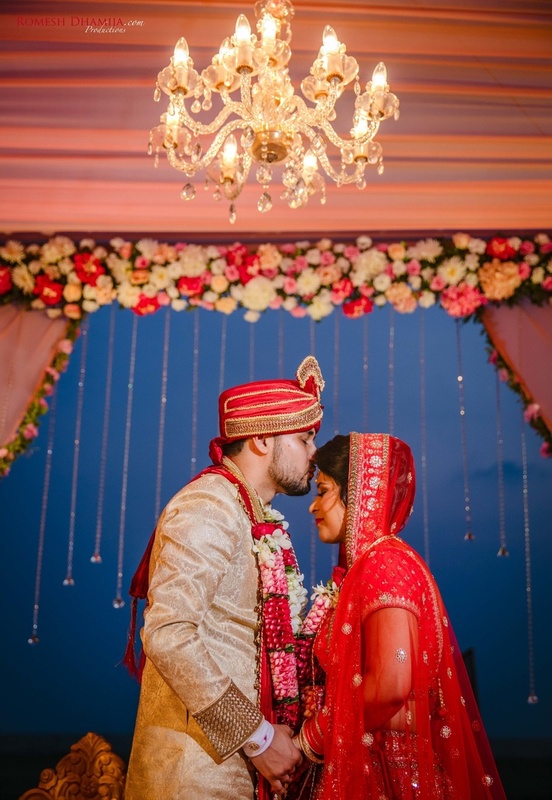 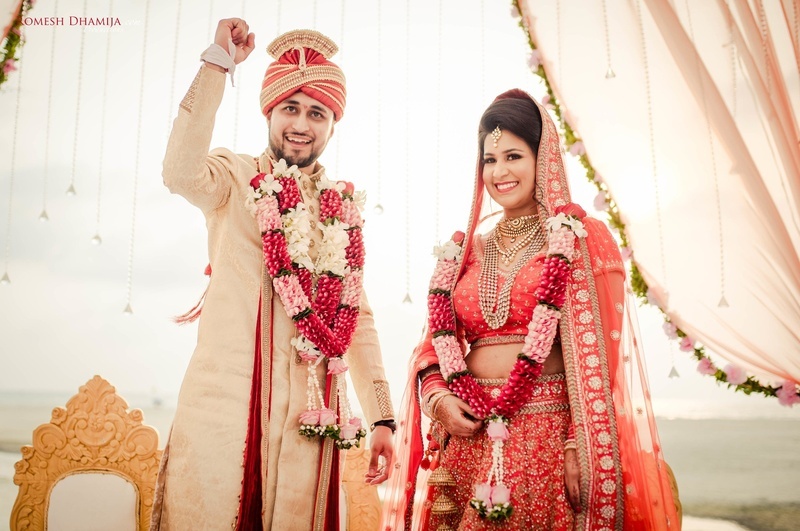 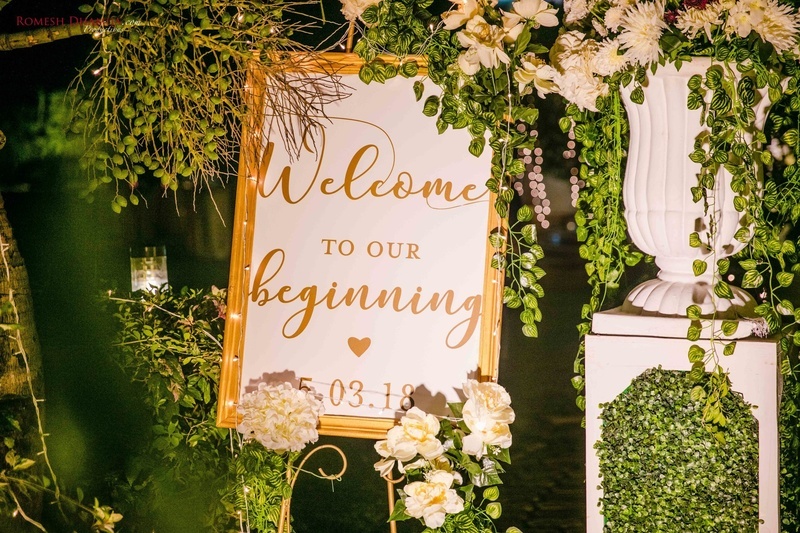 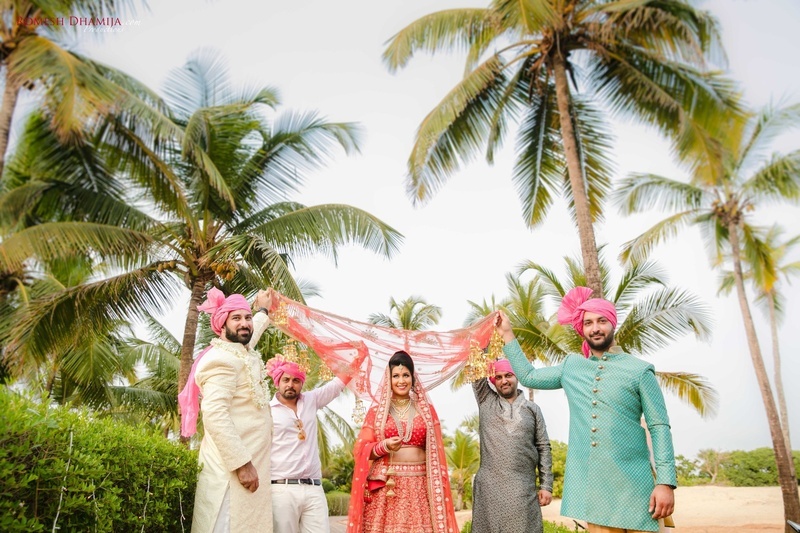 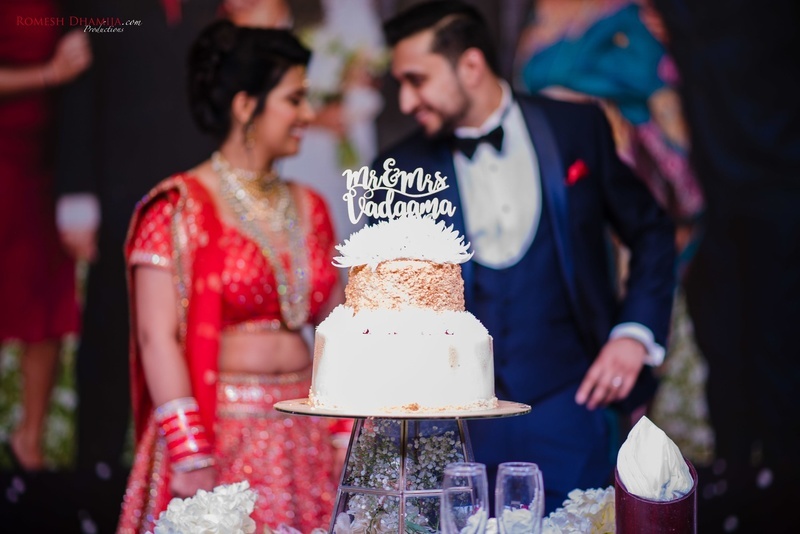 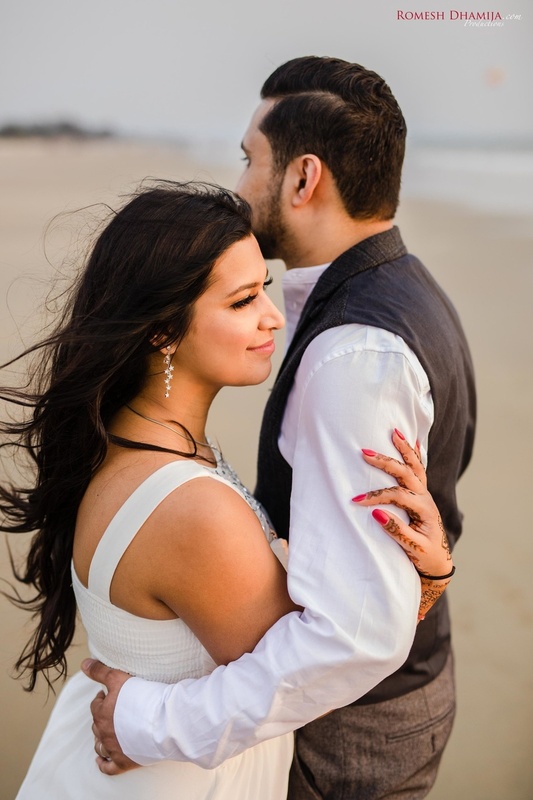 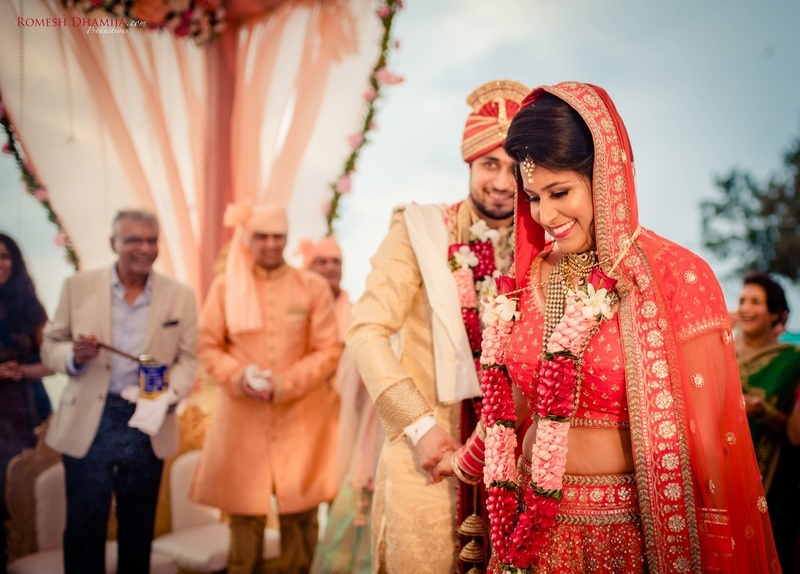 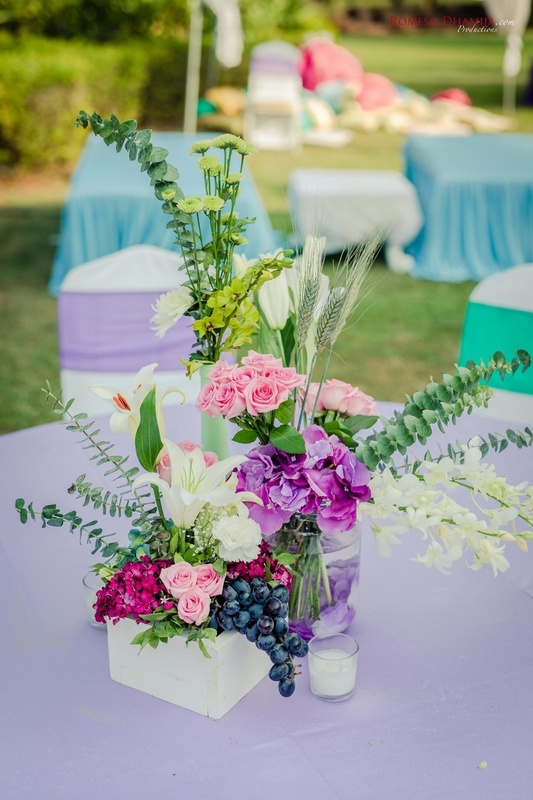 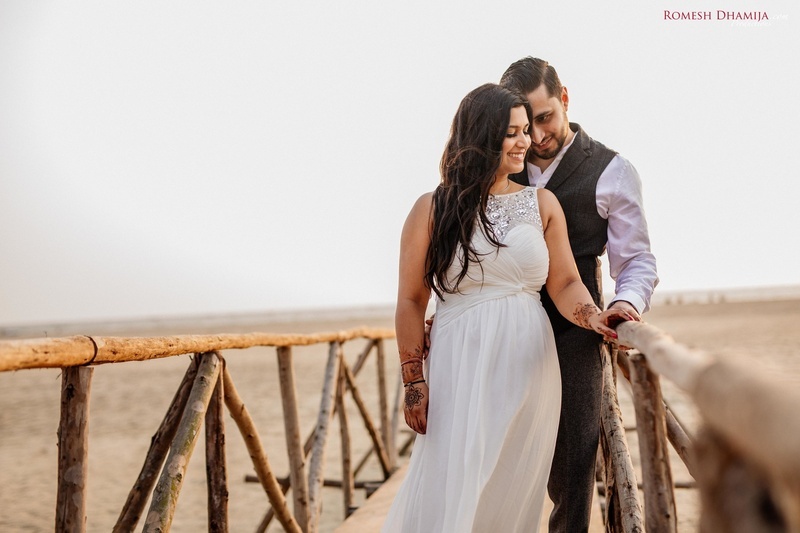 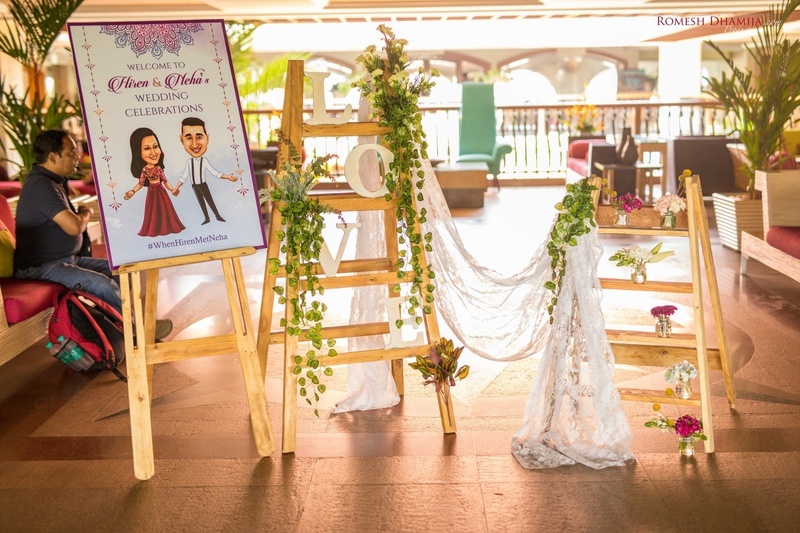 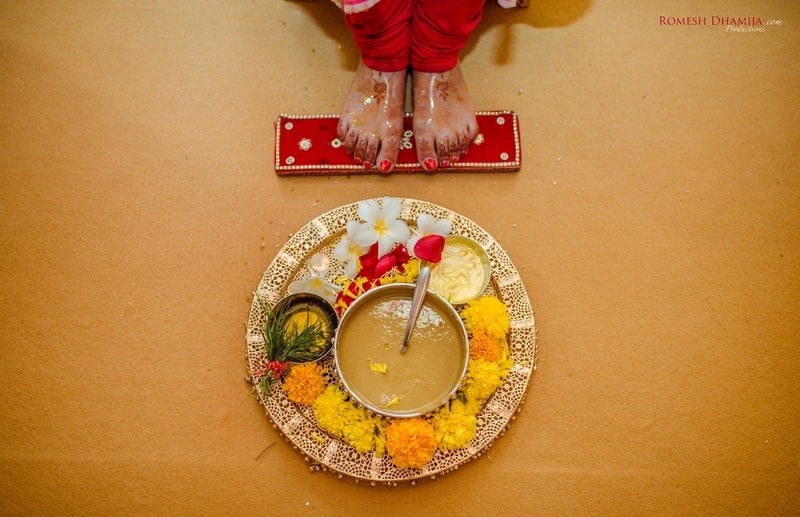 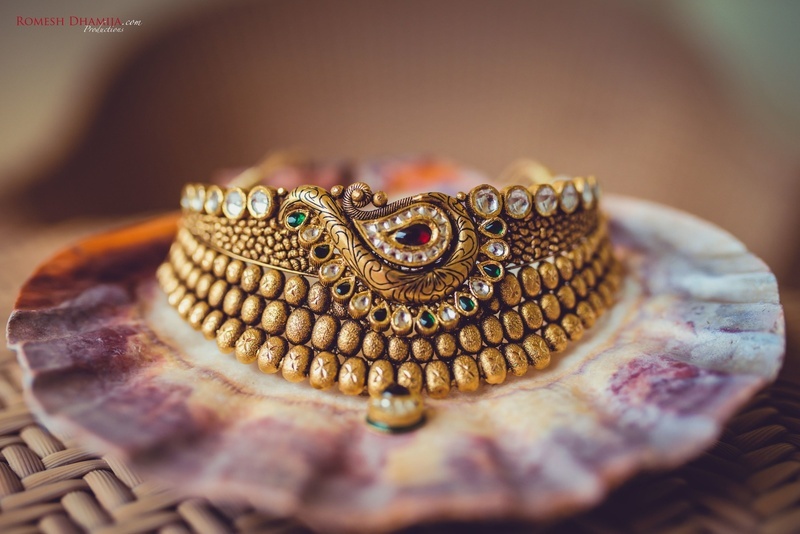 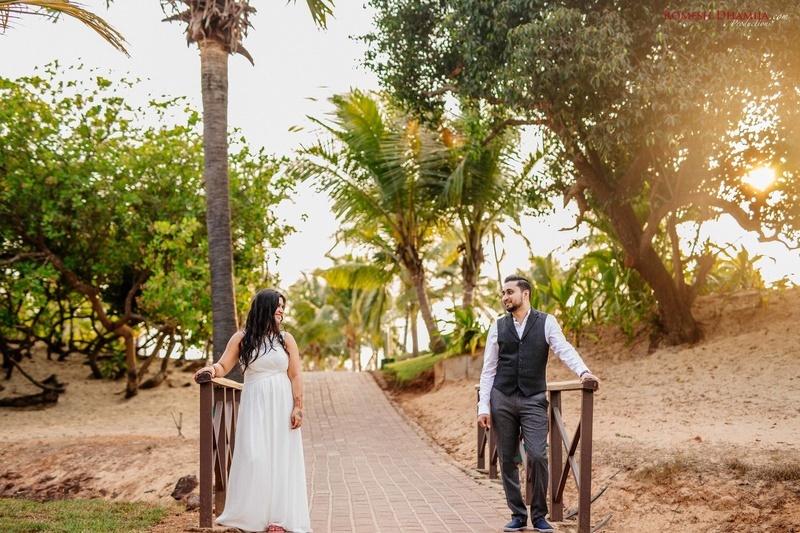 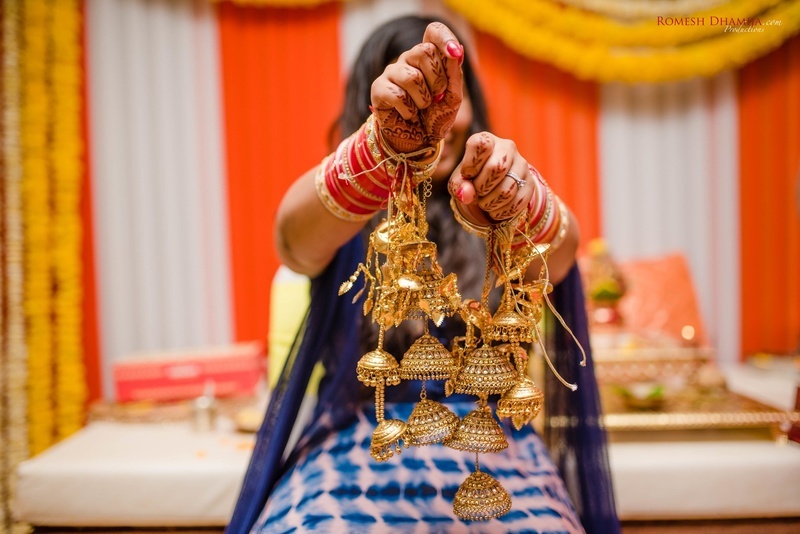 Neha and Hiren had a gorgeous, fun filled wedding at India’s party capital, Goa. 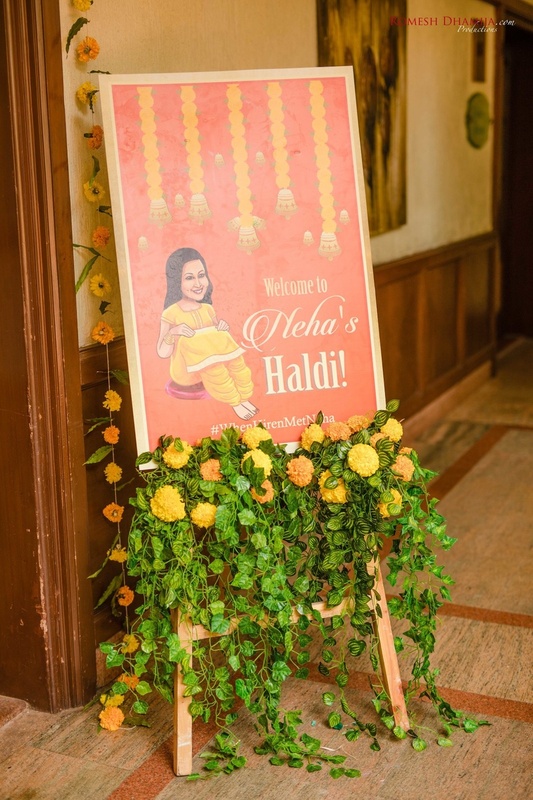 The mehendi decor that they chose is legit goals! 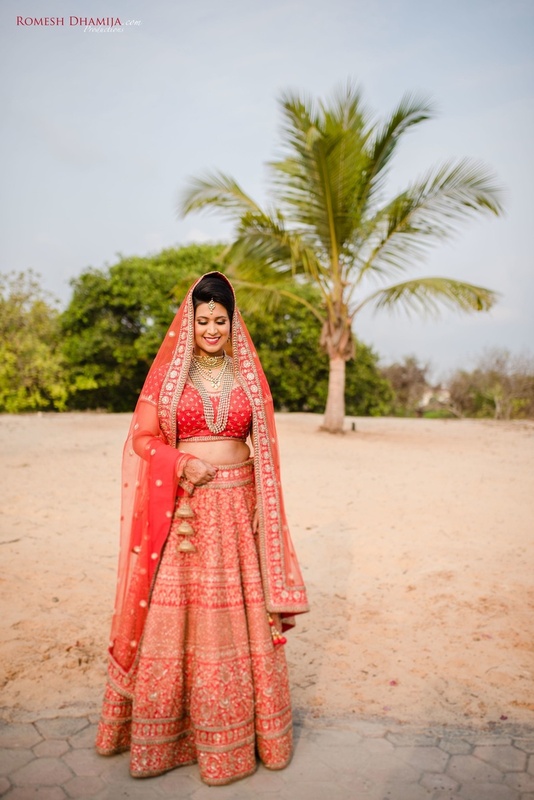 In case you’re not jealous yet, this was a beach wedding! 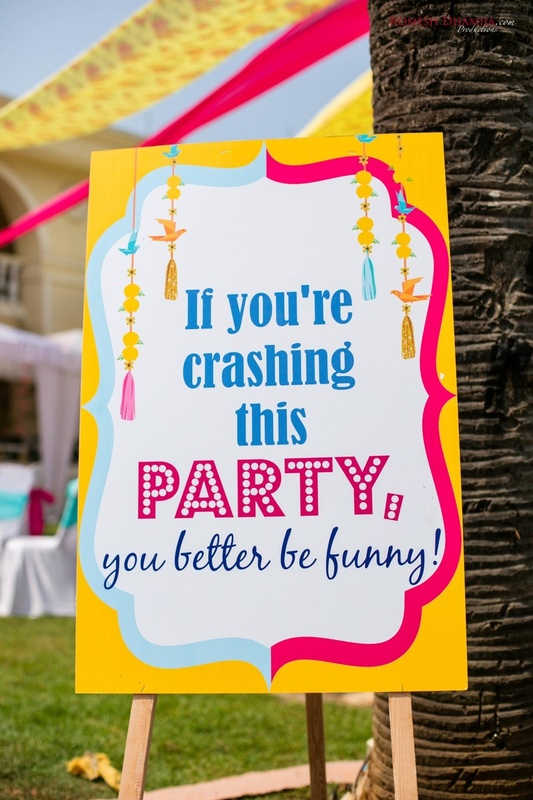 We feel you, beach bums! 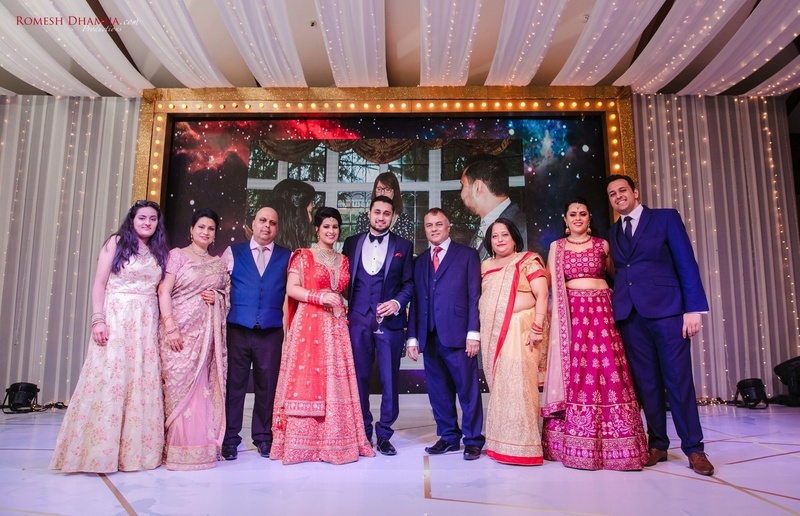 The couple colour coordinated their outfits in almost every function. 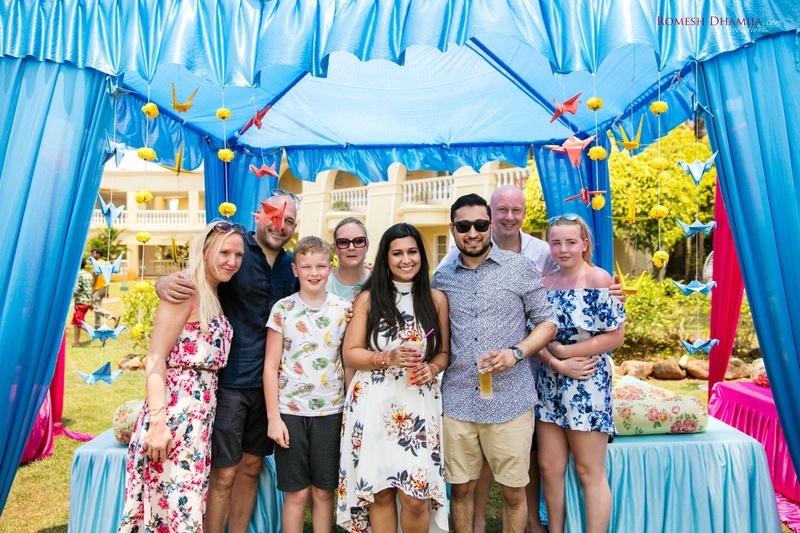 Did we mention that there was a pool party too? 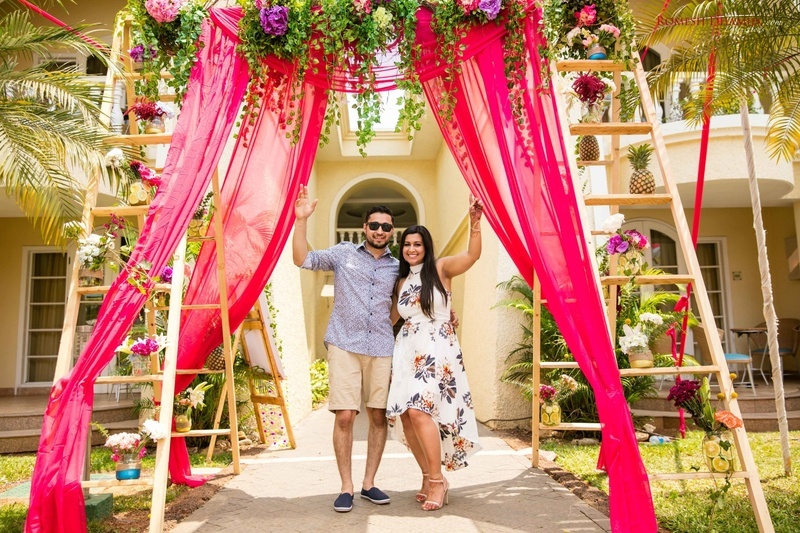 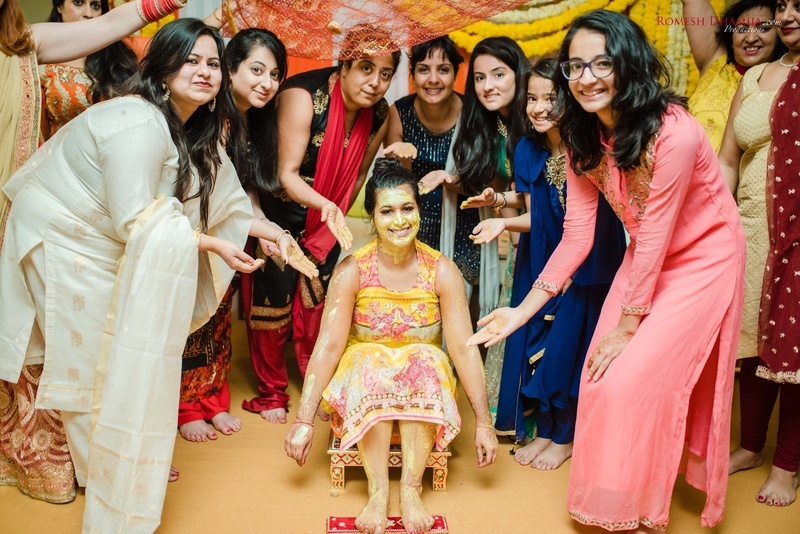 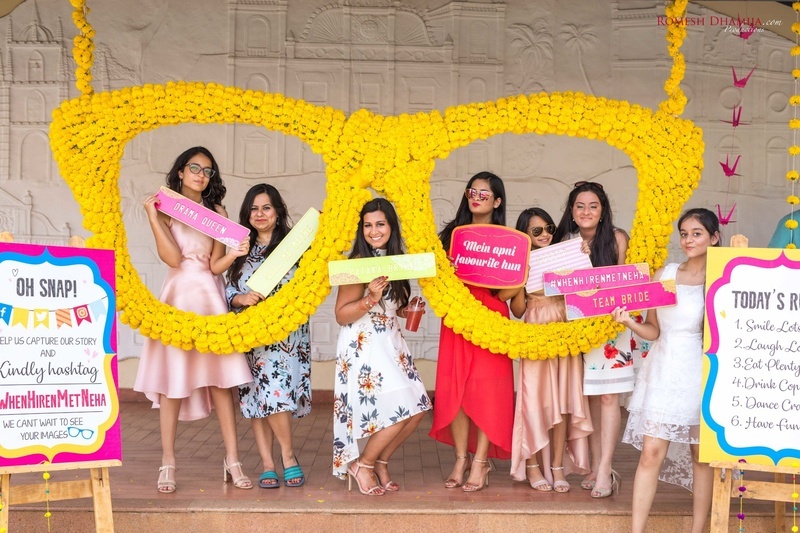 Neha and Hiren kicked off their wedding festivities with a super quirky pool party. 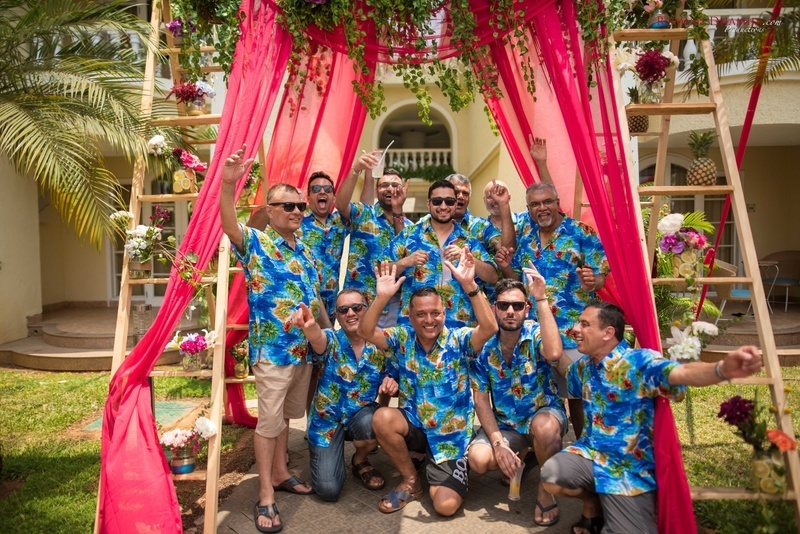 The groomsmen wore Hawaii shirts while the bridesmaids looked their pretty selves in summer dresses. 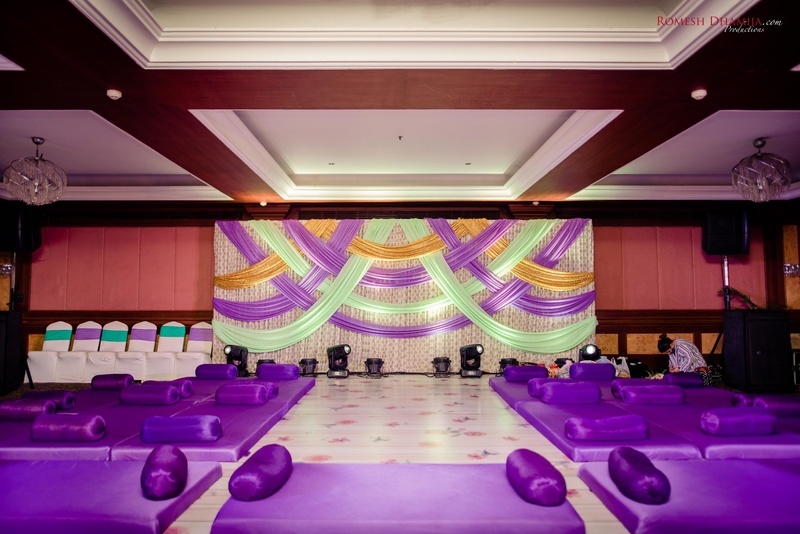 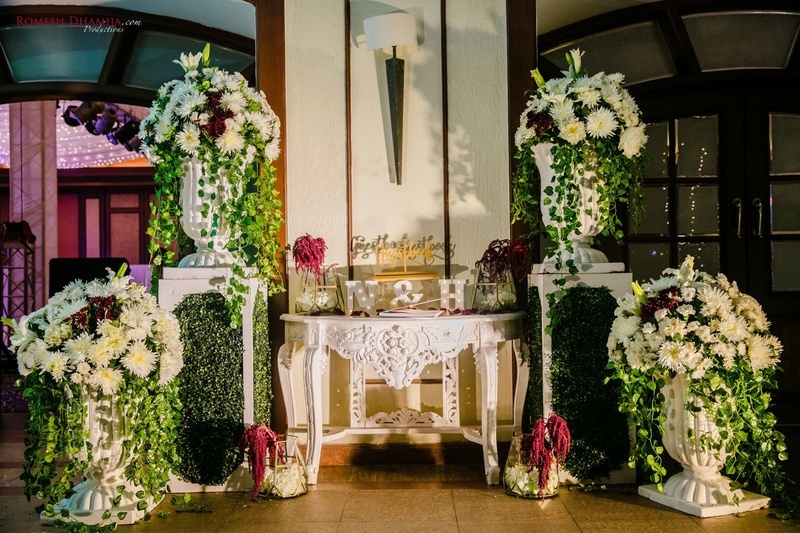 The decor was colourful and quirky, just like the party! 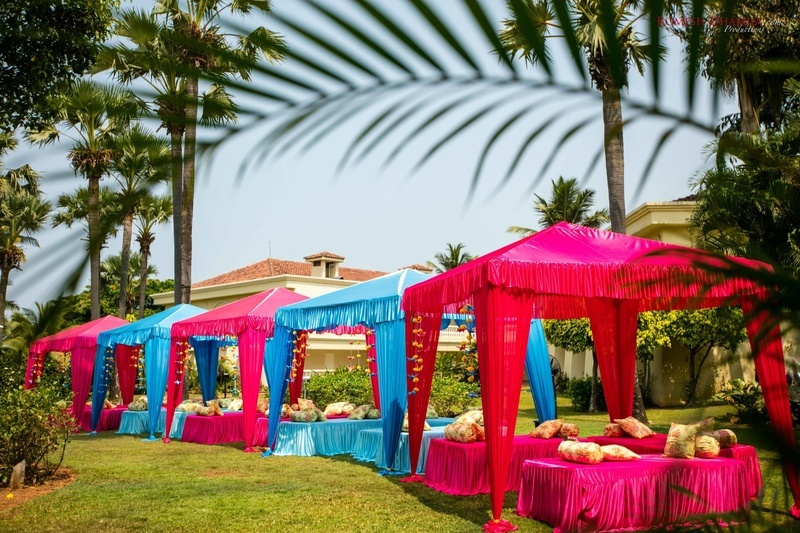 In Goa, do as you’re supposed to do! 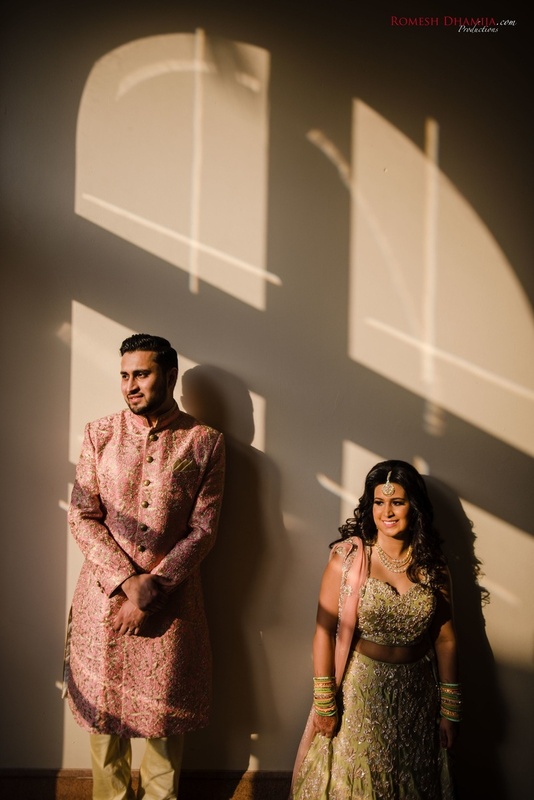 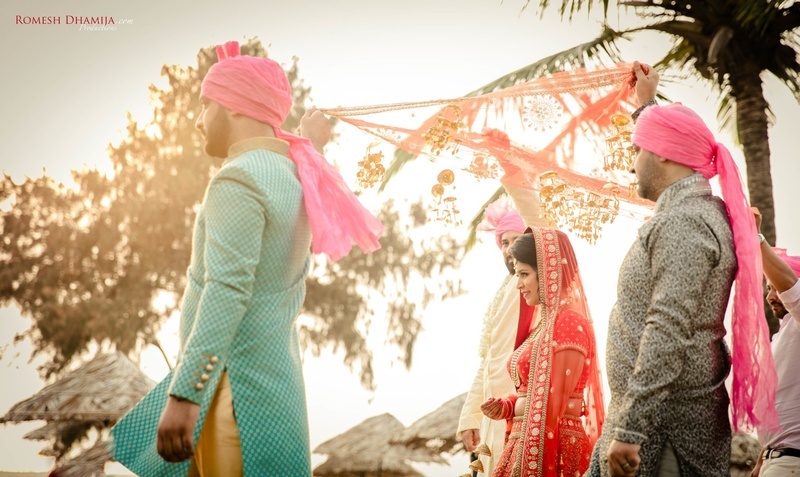 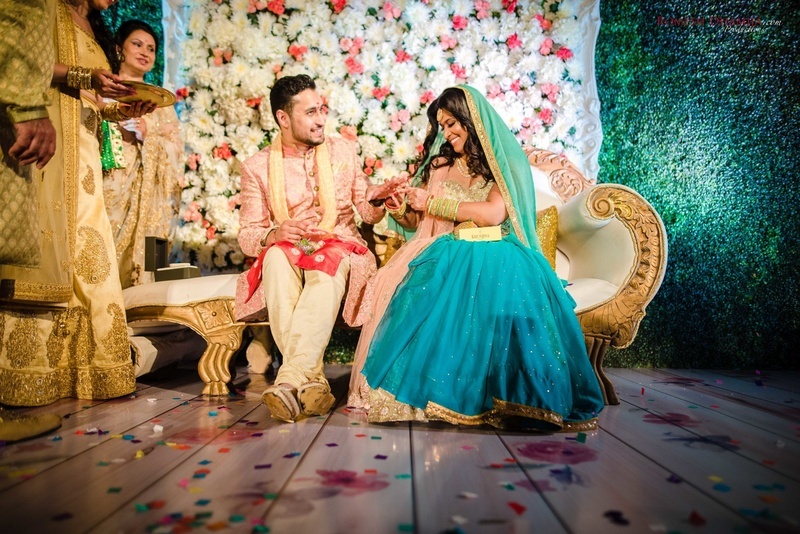 The couple wore colour coordinated outfits in pastel shades for their sangeet. 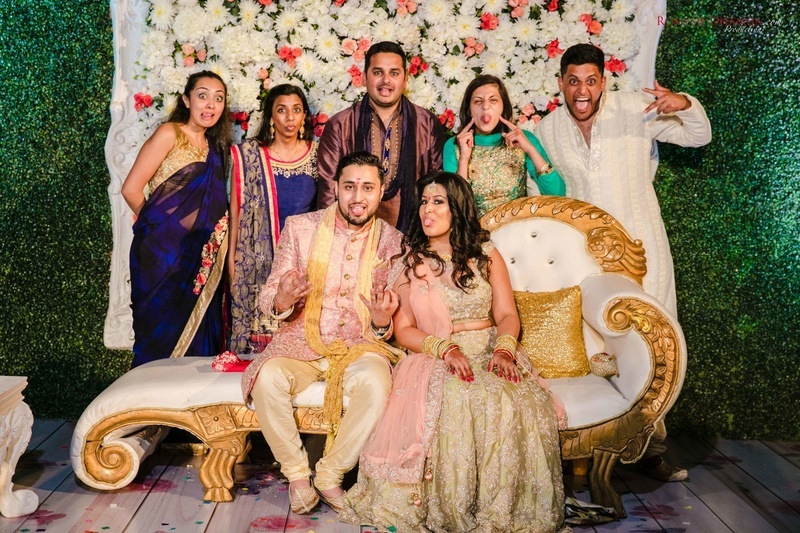 Here too their fun side is easily seen in their pictures! 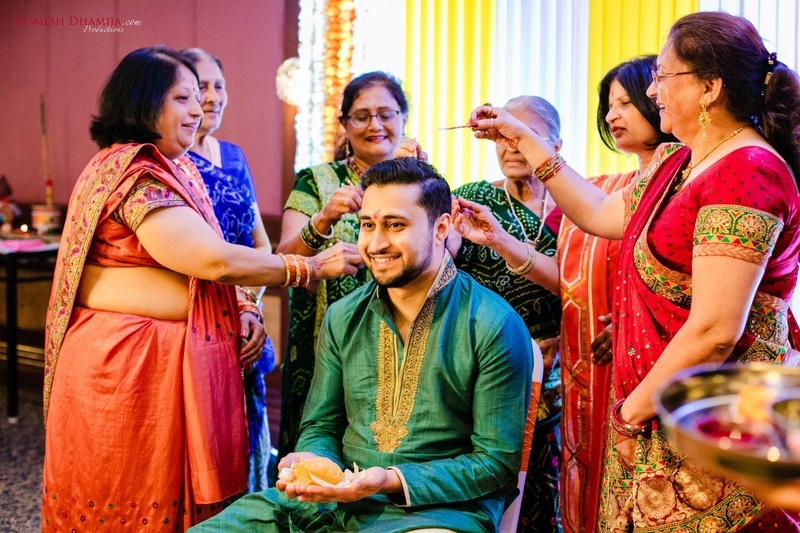 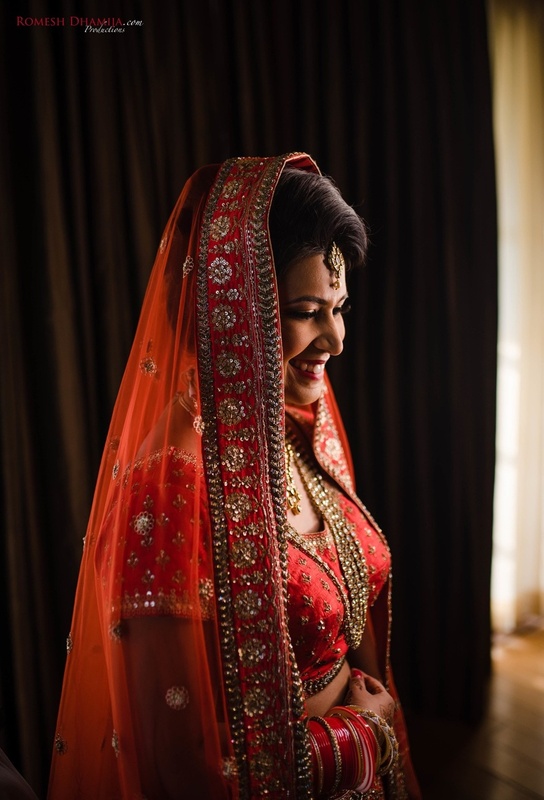 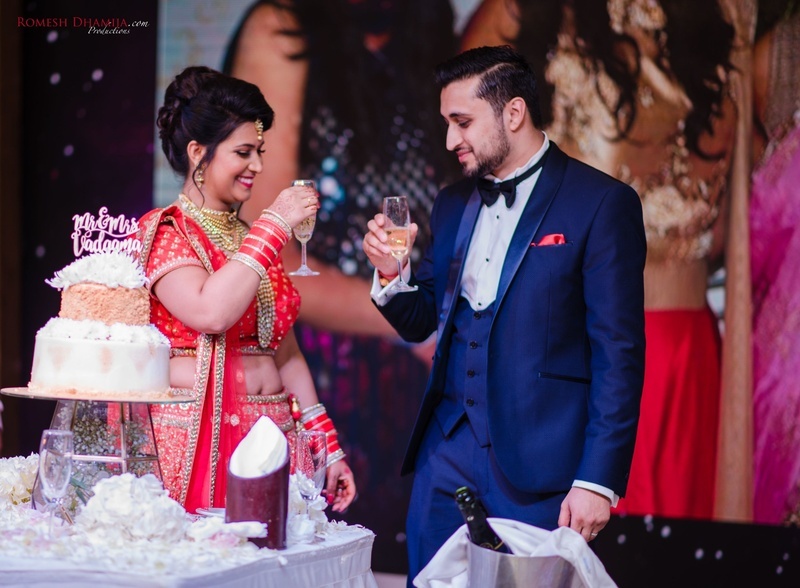 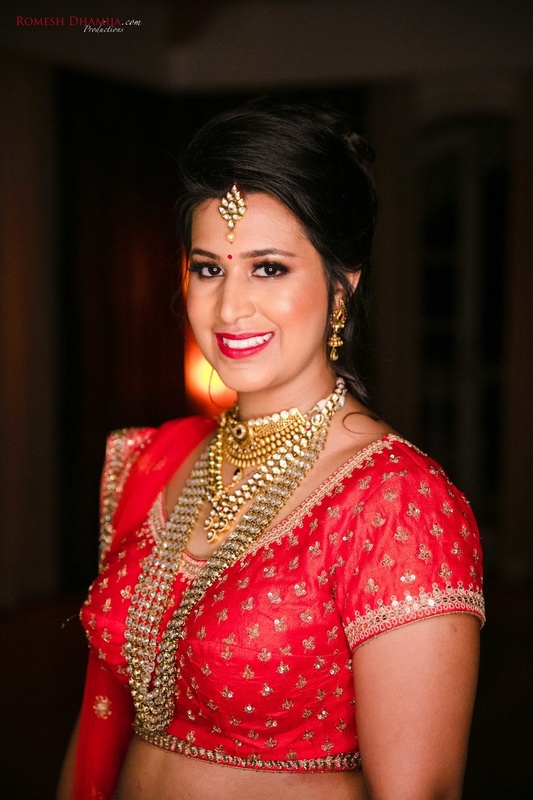 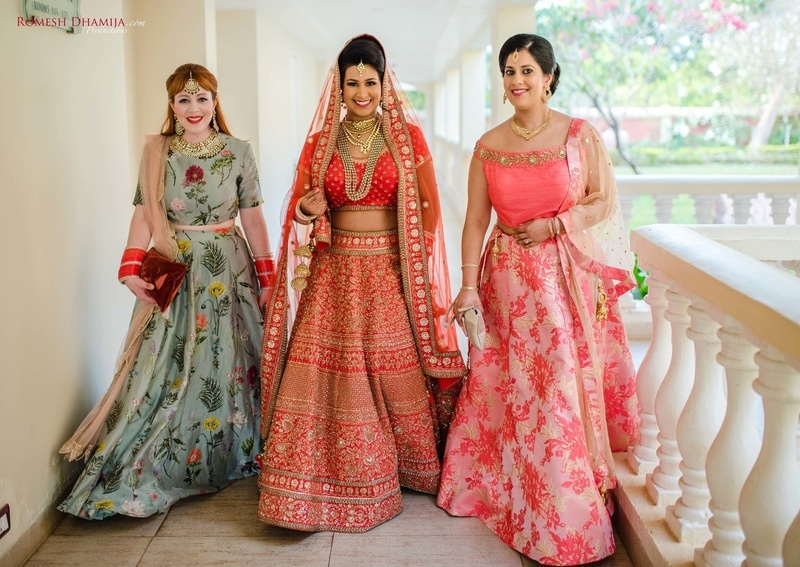 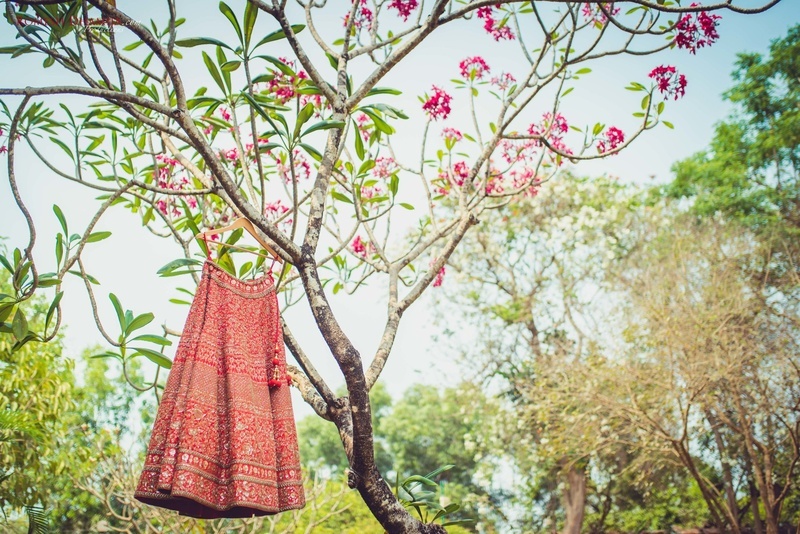 The Sabyasachi bride chose an orange lehenga and looked resplendent in it! 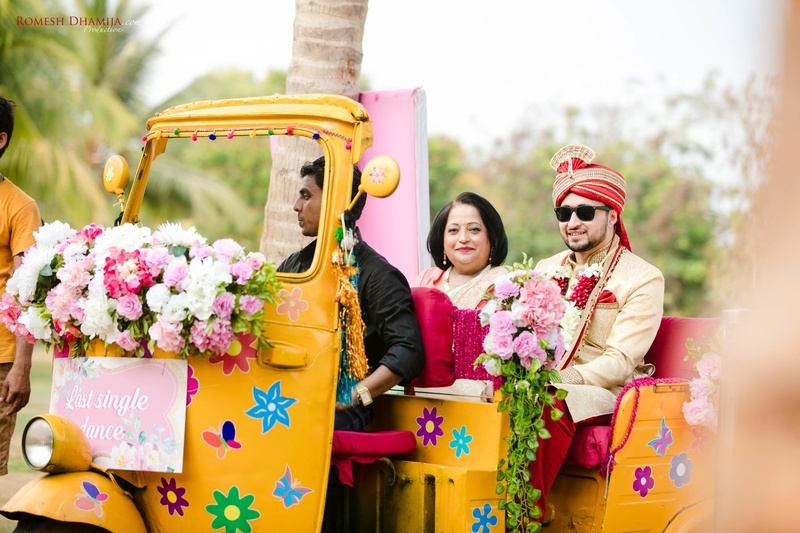 Hiren entered in an yellow coloured open rickshaw! 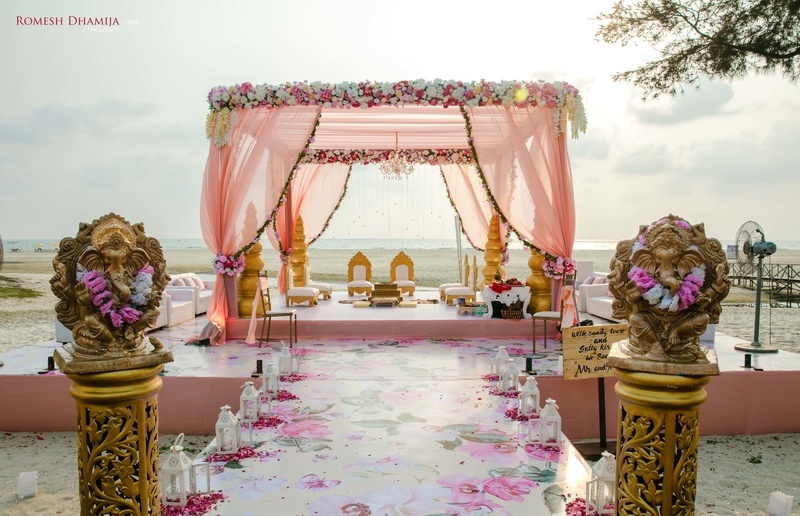 The mandap was set up against the beach where a traditional yet beautiful ceremony took place!